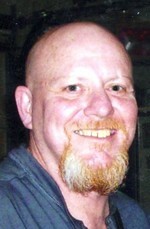 Muncie-John W. Longfellow, 50, passed away Monday, June 7, 2010, at his residence following an extended illness. He was born on March 21, 1960, in Muncie, the son of Carlos and Nina (Grimm) Longfellow. Mr. Longfellow attended Muncie City Schools and graduated from Muncie Central High School. John married the love of his life, Lisa (Winchester) Longfellow on, March 17, 1979, in Muncie. Mr. Longfellow had served in the U.S. Navy as a Boiler Technician during Operation Desert Storm and later during Operation Enduring Freedom, aboard the USS John F. Kennedy CV 67 for approximately 10 years. Prior to his illness John had worked for the Exide Corporation as a Laborer for 15 years. He loved to bowl and was on several area leagues. John enjoyed playing poker with his friends and family and watching wrestling on TV. He was also an avid Colts Fan. John was a member of the IBEW Union Local #855. Survivors include his wife of 31 years, Lisa; one son, Matthew Longfellow, Muncie; two daughters, Candie Clark (husband-Chris), Muncie and Ashley Norris (Husband-Justus), Gaston; two granddaughters, Larissa and Chloe both of Muncie; mother, Nina Longfellow, Muncie; mother-in-law, Doris Blevins, Muncie; two brothers, Robert Longfellow and Carl Longfellow (wife-Barbie), both of Muncie; two sisters, Laura Vandevender and Tena Thompson (husband Mike), both of Muncie; many family and friends. He was preceded in death by his father, Carlos Longfellow; father –in-law; Condred Blevins; maternal grandparents, William and Ethel Grimm; paternal grandparents, Ruby Michael and Carlos Longfellow. Funeral Services will be held on Friday, June 11, 2010, 11:00 A.M. at the Parson Mortuary . Burial will follow at Beech Grove Cemetery. The Delaware County Honor Guard will perform military honors. Friends may call at the Parson Mortuary on Thursday, June 10, 2010, from 5:00 P.M. until 8:00 P.M. and again one hour prior to the service on Friday. Memorials may be made to Ball Memorial Hospital Hospice, 2401 W. University Ave.; Muncie, Indiana 47303.